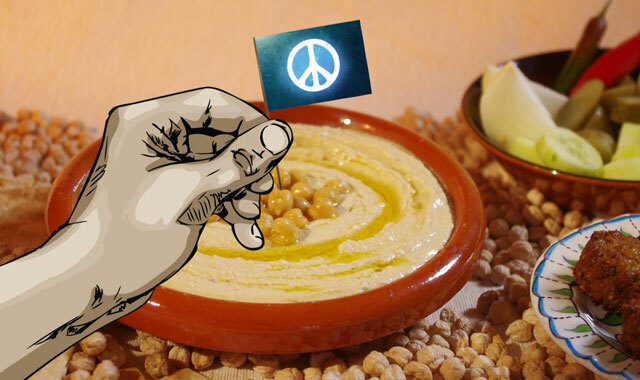 The Jackson Hole Hummus War will take place on Saturday, July 26 at the Center for the Arts. There are two categories, Home Cooks or Pro Chefs. Please fill out this short form to enter the Jackson Hole Hummus War. * 3. Are you entering for Home Cooks or Pro Chef division? * 4. If you are entering Pro Chefs please list the name of the restaurant, caterer or business you're representing. * 5. Do you live full time or part time in Teton County, Teton Valley, ID or Star Valley, WY or an outlying area? Only residents of Teton County, Teton Valley or Star Valley may enter. * 6. Tell us a little bit about yourself and your love for hummus! * 8. What is the phone number to reach you? * 9. What is your mailing address? * 11. If you are entering the Home Cooks division, you may receive a free No. 10 (6 lbs) can of chickpeas. If you would like one, please check below. You'll have to arrange to come by the JHJC office at 150 Scott lane to pick it up. Please call 690-4932. Yes I need a can of chickpeas! Thank you for entering the Jackson Hole Hummus War. Please deliver one gallon (or close to it) to the tent at the Center for the Arts at 6 p.m. on Saturday, July 26. HOME COOKS MUST STAY WITH THEIR HUMMUS FOR THE TASTING, PRO CHEFS ARE NOT REQUIRED TO STAY. If you have any questions please email: info@jhjewishcommuntiy.org or call Mary Grossman at 307-690-4932. Good luck!